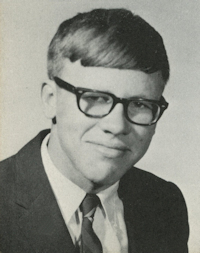 Obituary – Pricer, David Glen « Perry High School Alumni Association, Inc.
Football 65-66; Wrestling 65-66; Track 65-66. David Glen Pricer, 61, of Perry, Oklahoma, was the son of Eli Harold Pricer and Maxine Passow Pricer. 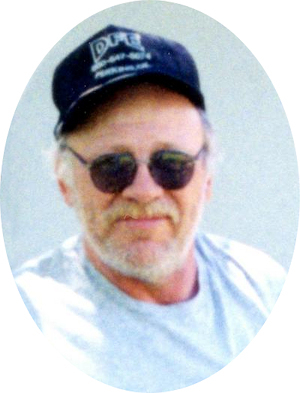 He was born April 23, 1950 at Enid, Oklahoma and died August 18, 2011 at Stillwater Medical Center. He attended school at the University of North Texas and also served in the US Air Force. Services will be 9:30 a.m. Wednesday, August 24, 2011 at Grace Hill Memorial Pavilion at Grace Hill Cemetery in Perry. Gerald Stewart will officiate. Services are under the direction of BrownDugger Funeral Home. David is survived by one son, Michael Pricer and his wife, Charithah, of Perry, Oklahoma and four grandchildren Aurora, Lilith, Ivy and Ulrich Pricer all of Perry, Oklahoma. He was preceded in death by both his parents and one brother Eli Harold Pricer Jr.
Memorial contributions may be to the Huntingtons Disease Society of America in care of BrownDugger Funeral Home, 1010 N. 7th Street, Perry, Oklahoma, 73077.